Each semester, ECLA of Bard offers the course Berlin: Experiment in Modernity. Just like the ECLA BA students have a mandatory core course each semester, this Berlin–themed class is the core component for the exchange students enrolled in the Bard in Berlin program. However, all ECLA students have the possibility to take it. Furthermore, students not enrolled in the class can join the weekly museum visits, which form an essential part of the course. 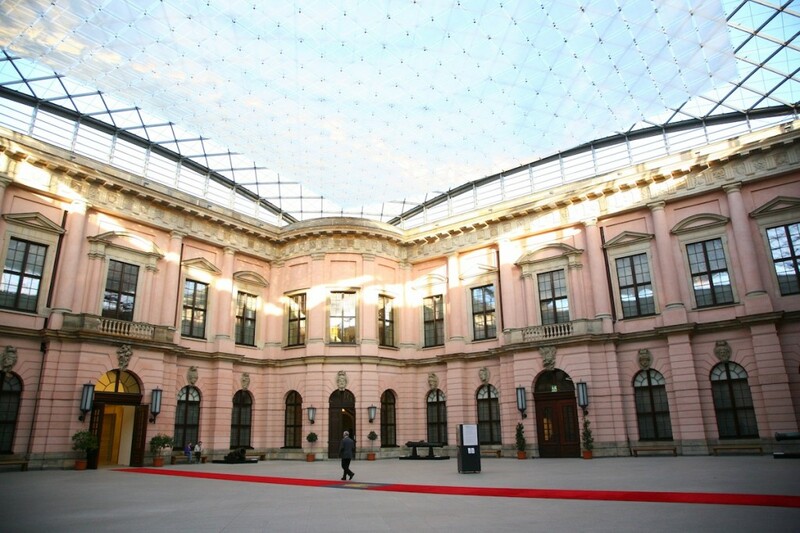 Students of ECLA of Bard thus have the possibility to visit some of Berlin’s museums and galleries for free and enjoy guided tours with ECLA professors. Last week, I joined in a visit to the Deutsches Historisches Museum (German Historical Museum) led by ECLA’s professor Aya Soika, who as an art historian and native Berliner seems to know everything about Berlin. The museum is really big. It captures the complete history of the territory of current Germany from the settlement of Germanic tribes until the fall of the Berlin Wall and the following reunification of Germany. Because of the size of the exhibition, it was quite useful that our guide, Aya Soika, showed us the highlights of the museum. For the future, visits of places like the Bertolt-Brecht-House, the Reichstag building, the Berlinische Galerie, or the Christian Boros Collection are planned.